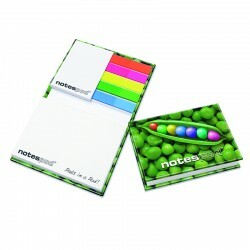 Sticky-Smart Special Shape Cover Notes 5" x 3"
Sticky-Smart Cover Notes 5"x 3"
Sticky-Smart Special Shape Cover Notes 3" x 3"
Sticky-Smart Cover Notes 3"x 3"
Sticky notes and post-it pads are some of the best affordable promotional items you can use for branding purposes in your marketing campaigns and giveaways. 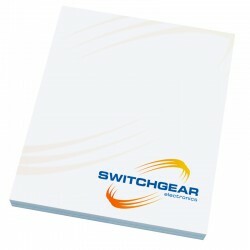 These are popular desktop items, used in offices the world over, and they are highly versatile products that can be used in so many situations including schools, clubs and organisations of all sizes. 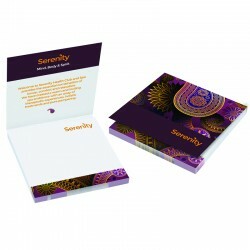 All of which makes them the perfect printed items for your next giveaway. 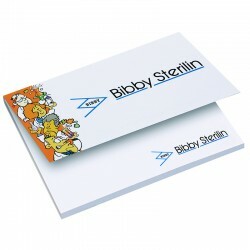 We boast an extensive range of printed stationery in our store. 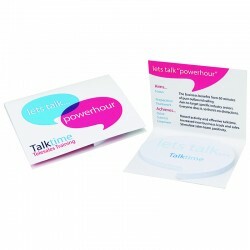 These small sticky post-its with your branding printed on them are perfect for giving away at events like trade shows. 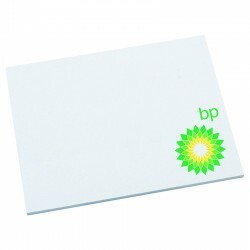 As well as the small pads, we also have larger memo pads that provide a bigger area on the outside to increase the visibility of your brand message, and many of these come with sticky notes included on the inside. 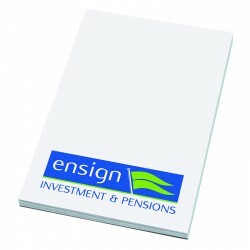 We also provide notepads in interesting shapes like clouds that you can match with your marketing campaigns, notepads in cases, memo pad holders with pens included and more – essentially, anything that you need for your campaign or giveaway. 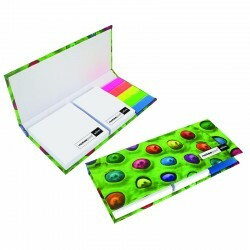 Our multi-coloured stationery products are light, portable and affordable, so choose your style and order your printed sticky notes and memo pads today. The great thing about sticky notes and custom memo pads is is that they are so versatile. Practically anyone can find a use for sticky notes. 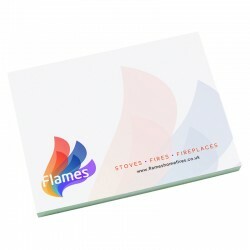 They are particularly useful in the office, which makes them ideal for your corporate clients if you target businesses. They are also useful in schools, museums, clubs and organizations. 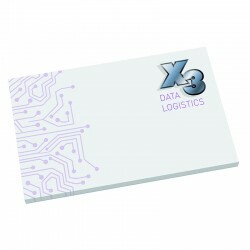 You could also make use of them in your own office, perhaps giving them away to clients in your meetings. 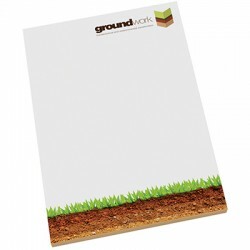 Or you could give them to your staff because stationery like this is useful to have around, and they are excellent for branding purposes when your employees go out of the office and visit events. You can also give them away as free gifts. Everyone appreciates useful gifts, especially ones that are light and affordable like sticky notes or our selection of stylish promotional pens, which you could give away together. 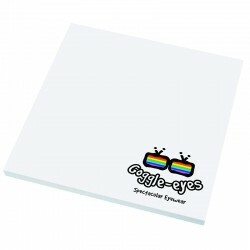 Custom post it pads are also useful gifts. Everyone needs to take notes from time to time – smartphones haven’t completely taken over yet. People use them to write shopping lists or take notes in meetings, so they are highly versatile for your promotional campaigns. 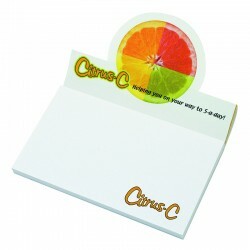 Whether you want custom memo pads, printed sticky notes or any other kind of cheap corporate gifts for your giveaways or prizes, we can help. 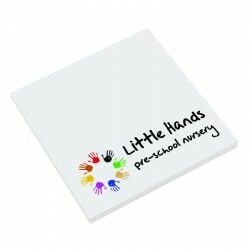 Our website is packed full of promotional items that cover the whole spectrum, from fun toys to useful stationery to attractive gifts, so you can find what you want and make your order in no time. 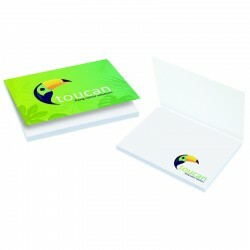 Want to get a sample to see what it will look like with your branding? That’s no problem, and we would be happy to help. We also provide some of the best prices you will find for cheap but high-quality items for all purposes. So let us help you with your next promotional giveaway, prize or employee reward. Find what you need today on our site in no time at all.